The Bergen County Wildcats Program is a team of athletes with special needs ages 8 and above, from the Bergen County, NJ area. These athletes compete in a variety of Special Olympics New Jersey sports including floor hockey, bowling, softball, unified bocce and unified golf. The athletes participate in the Special Olympics NJ Floor Hockey Finals and Summer Games. During the various seasons, the athletes practice at area locations and then compete on weekends against other Special Olympics NJ teams. Games are usually held in the Princeton and Trenton areas. The primary goal of the Bergen County Wildcats Program is to have athletes with special needs participate with a team and compete with other teams. This participation increases self-esteem and independence and gives the athletes a true sense of belonging. The program is staffed by trained volunteers and dedicated parents.The Bergen County Wildcats Program is funded through two annual fundraisers and donations from businesses, individuals and groups. 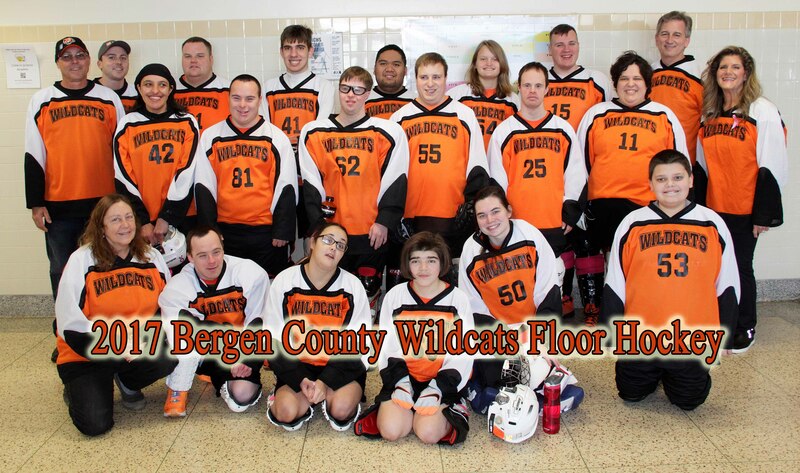 The Bergen County Wildcats Program is a NJ non-profit charitable organization under section 501(c)(3) of the IRS. All donations are tax deductible to the extent permitted by law.